A contemporary room with work desk and choice of bed configuration. The bathroom is plush with vanity unit and bath and/or shower. Pacifica buffet and a la carte restaurant serves a broad range of International and Asian dishes all day. Open breakfast buffet 06.00 to 10.00/30, lunch buffet 11.30 to 14.00, dinner buffet 18.00 to 22.00. A la carte menu 06.00 to 22.00. The perfect place to enjoy Cantonese cuisine and spectacular dim sum buffet. Open for lunch 11.00 to 14.00, dinner 17.30 to 22.30. A modern lounge bar with comfortable, elegant seating and surroundings. Open from 07.00 to midnight. 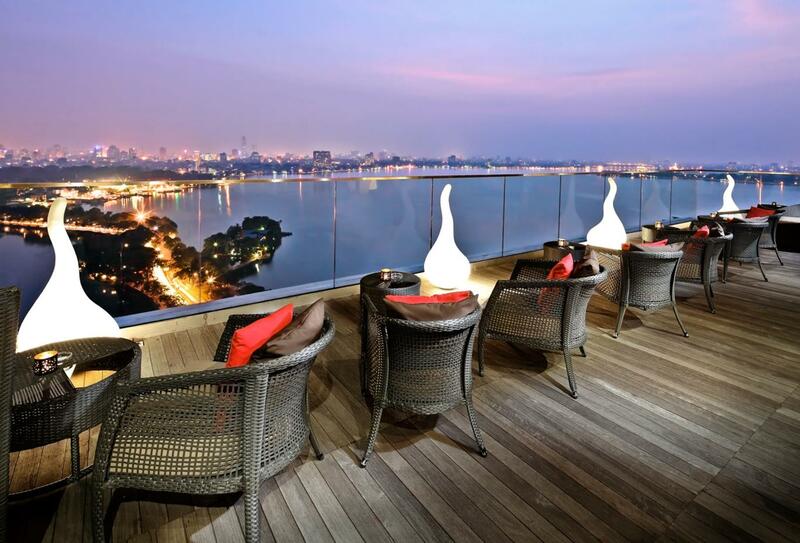 This rooftop lounge has what some say is the best view in Hanoi. Great for a fun evening with friends. Open 16.00 to midnight.